Not only is this milkshake filling, it's loaded with the goodness of apples and dates. Try it now! There are some days when you actually don’t feel like eating much and it usually happens during the hot summer months. The best option on such days is having a cold and yummy milkshake, which not only helps fill your stomach but is also nutritious at the same time. 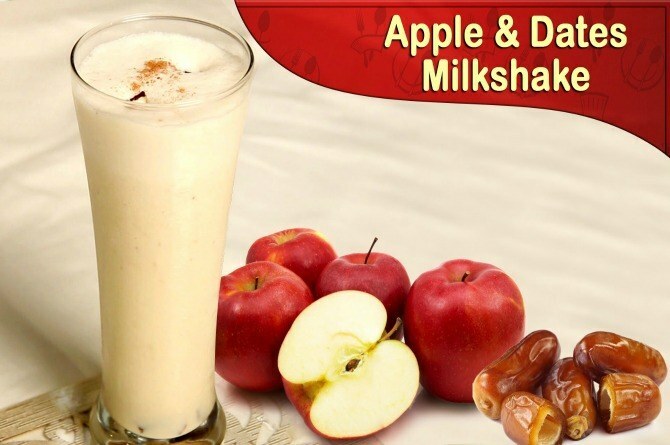 One healthy and rich option that you must try this summer is apple and dates milkshake. What makes the combination of apples and dates so great? Apples and dates are full of fibre, vitamins and nutrients. Apples contain a fibre called pectin which is soluble and fermentable in nature. Dates, on the other hand, are easily digestible and helps to move waste smoothly through your colon and helps prevent cholesterol absorption. It helps keep the heart rate under control and balances the level of oxygen in the body. So as we can see, apple and dates are one healthy combination during these summers The recipe is as simple as it can get ! Step 3: Keep grinding it till it comes into a proper constistency and add milk if necessary. A healthy and filling option this summer. A love story like no other: This Bengaluru man's touching post on marrying his school crush will MOVE you!